Like I said, Nautilus. I don’t think you need to be told twice. 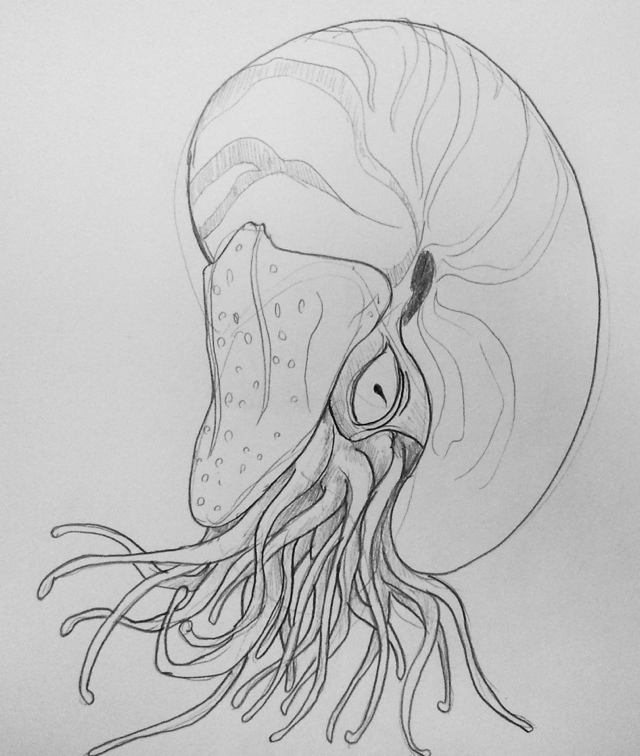 This entry was posted in Quick Desksketch and tagged cephalopod, nautilus by Anthony. Bookmark the permalink.